Had an interesting one today with a bit of a lesson at the end of the article. Users are able to connect to Exchange with Outlook, send and receive mails etc. Users are however unable to set up their Out of Office using Outlook but they are able to set it using Outlook WebApp. We have a hybrid Exchange environment with 2010 and 2007 CAS servers. In the back-end we are running an Exchange 2007 CCR Cluster. 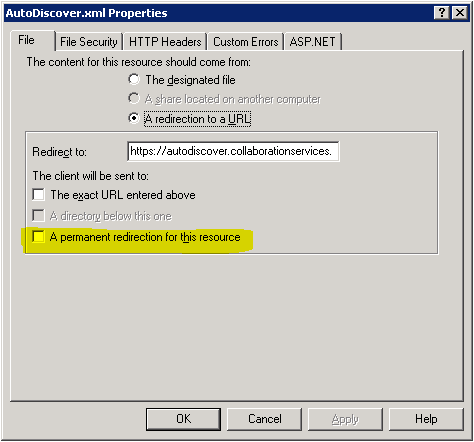 Past troubleshooting with regards to Out of Office not working has taught me to check and test autodiscover. I bet that the OAB is also not downloading? 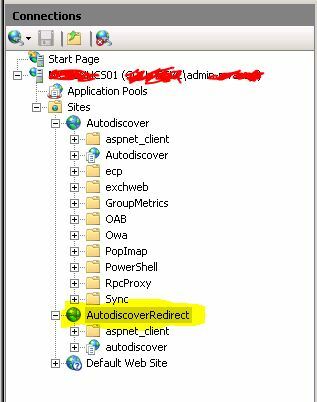 I ran the normal checks such as checking the certificates and running nslookup to see if autodiscover.domain.com redirects to autodiscoverredirect.domain.com asn it did. My next step was to check IIS as I’ve had a previous issue there. Low and behold I noticed that an ex-admin used his credentials for authentication. This caused issues as the admin’s account has been deleted a few days ago as he left our company. 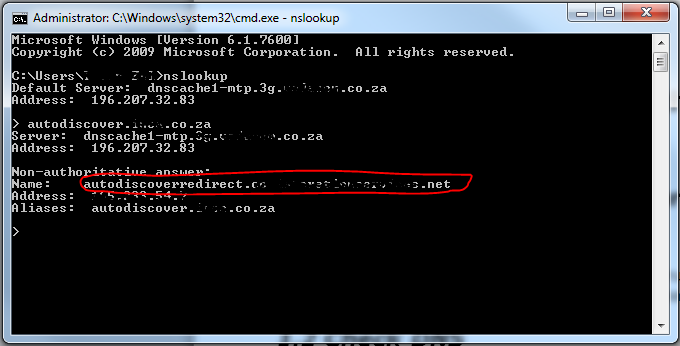 I then created a service account and added the credentials in IIS to ensure that this does not happen again. Users reported that Out of Office is working again. 3. Click on “Physical Path Credentials” and then set. Add your service account credentials and save. This solved my issue with redirection. Lesson: No matter how many years of experience admins have, the still seem to take the quick route of using their personal credentials where a service account should be used causing issues for your users and customers. Don’t be a lazy engineer and use the service accounts and remember to document EVERYTHING! We received a call today where a meeting request sent to a Room mailbox shows the meeting organiser’s name in the subject line. Hope this makes your life a bit easier. Eventually we logged into powershell and recreated all the OWA virtual directories. This solved the issue and we could access OWA again. 1.1 Check if your certificates are configured correctly and if they have expired. A good way to test DNS is using NSLOOKUP. Open cmd and type nslookup and hit enter. Type autodiscover.yourdomain.com (or .net etc.) this should return with the redirect address as per below screenshot. Hold Ctrl and Right click on the Outlook Icon in the task bar. Then choose “Test E-mail AutoConfiguration”. The test should be successful with doing a redirect. 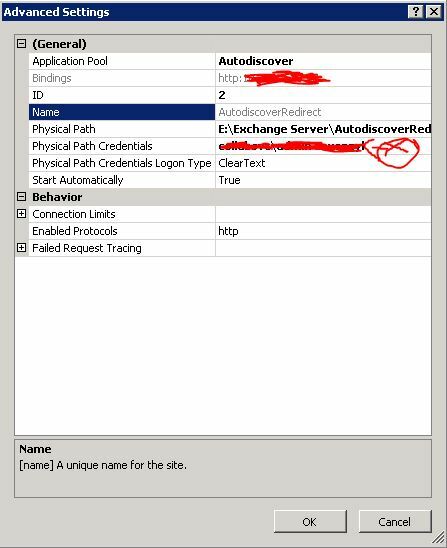 You could also test autodiscover using http://testexchangeconnectivity .com but make sure there is no mail in the mailbox and OoO is not on as it will spit out an error. We found that the problem we had had nothing to do with DNS or Certs but the tests still failed. While testing the rules on ISA we saw an entry that pointed us to the following location. Right Click on AutoDiscover.xml ans untick the following tick box. This resolved the issue and all AutoDiscover tests where successful. OoO and OAB was working once again. Note: When we restarted IIS we noticed that the tick was back and we had to untick the checkbox again. We are still looking into this. I received an event today advising me that the local TLS certificate has expired and needs to be renewed. Here is the event info. Now open the cert.txt document that you created with the above command and copy the Thumbprint of the expired cert. Run Get-ExchangeCertificate | fl and check the dates and status to see if the new cert was created successfully. I used the following URL to assist me with renewing the Cert. There are more info on the article regarding 3rd Party Certs etc. – Open t DNS Manager. 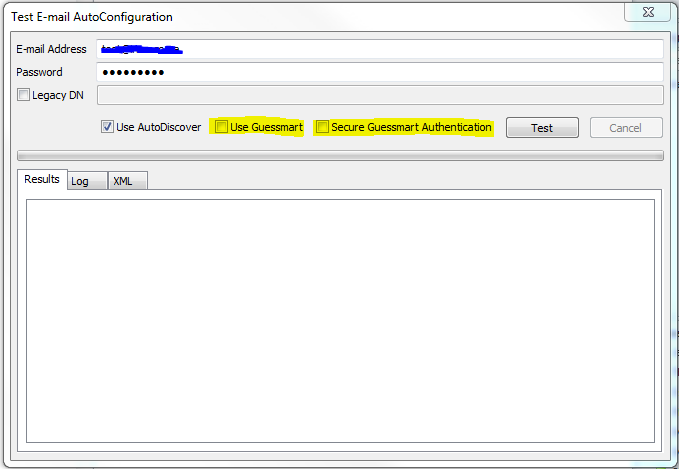 – Type autodiscover and the IP Address of the Exchange 2007 server, then click on add. – Click OK then click Done. – Type the following: Set-OutlookProvider –id exch –ssl:$true and press Enter. – Then type the following: Set-OutlookProvider –id exch –server:servername and then press Enter.